Austin, TX, January 26, 2019 --(PR.com)-- Depression2Extinction (d2e), a non-profit on a mission to eliminate the stigma of depression and anxiety disorders through movement, mindfulness, & human connection, announced today Founder, Jeff Jackson’s, Ultra 50 Expedition. The Expedition includes running an Ultra Marathon of 50K or longer, in all 50 U.S. States, in 50 consecutive days. A feat that has yet to be accomplished. Starting on May 1, 2019, Mental Health Awareness Month, JJ (Jeff Jackson) and the d2e team are setting off to complete The Ultra 50 Expedition in order to bring greater awareness to the stigma behind depression and anxiety. This expedition is an opportunity to bring awareness to this stigma and share with students, teachers, and parents the simple, yet profound tools to help better understand their emotions. With d2e’s primary tool, The Check-in Process, thousands of people across the country have received support and connection. The Ultra 50 Expedition will help bring our community together in order to build more leaders of change. 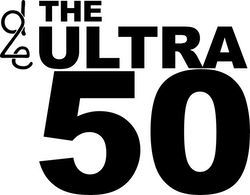 The Ultra 50 Expedition is a sponsored event where Coach JJ will run 50K or longer in all 50 states, in 50 consecutive days. As an average, everyday athlete this will be an enormous undertaking. To learn more, inquire about sponsorship opportunities, and find other ways to support this mission and expedition, go to www.ultra50.org or visit their social media channels on Facebook, Twitter, Instagram.